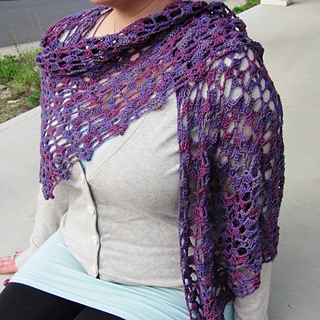 Embark on the voyage of your dreams while wrapped in the beauty of the Drift Ice Shawl. 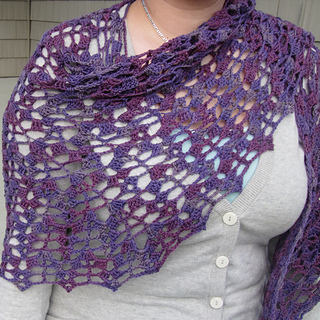 The second pattern in the Drift Ice Line, the Drift Ice Shawl showcases the same delicate openwork as its sister, the Drift Ice Cowl. 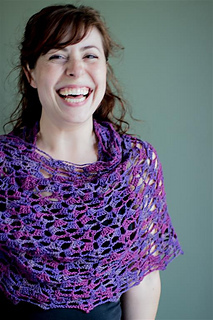 Worked from the center top outwards, the shawl is easily customizable for size – simply work as many repeats as you like, and finish with the pint-sized picots! The neckline shaping helps it stay secure, while the squared semi-circle shape offers lots of options for styling. 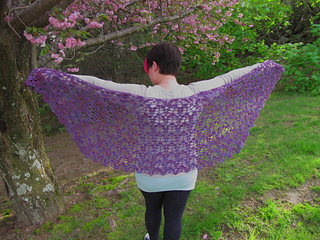 The Drift Ice Shawl pattern is a great match for both solid and variegated yarns. US crochet pattern terminology used. Pattern includes written part and stitch diagrams.